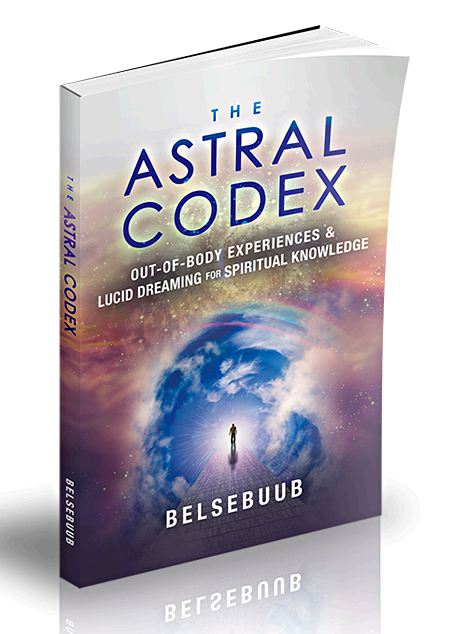 The Astral Codex by Belsebuub has just been released as a free eBook. Having out-of-body experiences totally changed my life; feeling myself leaving my physical body and entering another dimension was absolutely incredible, and I think it’s going to have a profound impact upon the world-view of anyone who seriously takes it up. Having out-of-body experiences is a natural part of being human, and is one of the most ancient and essential ways for getting spiritual knowledge. Some of the material in it was first released back in 2001 as a free online course given as a series of weekly, downloadable pdfs. Back then it was huge – it was the most popular course of its time (taken by 10’s of thousands worldwide), and was groundbreaking at a time when the internet was just kicking off. It was possibly THE most effective program of astral exercises: surveys showed that 67 percent of people had an out-of-body experience during the course. Later as a paperback book it became the bestseller in its genre on Amazon.com, and now the paperback has formed the basis of a completely revised and updated eBook with lots of new material, that’s free to download here. This has been written from his own extensive experience of exploring the astral plane out of the body for over 20 years, and he has been able to put together an incredibly comprehensive and accurate guide on to how to astral travel on a regular basis and use experiences there for spiritual growth. The Astral Codex is a comprehensive and enthralling guide to what out-of-body experiences are, how to have them on a regular basis, what to see and do in the astral plane, and how it fits into the structure of life. It is a must have for anyone interested in astral travel. 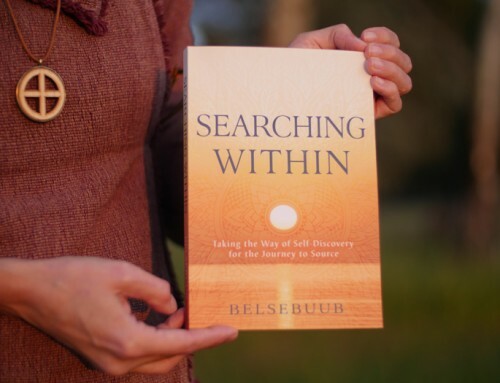 From over 20 years of extensive experience in astral projection and spirituality, Belsebuub shows how to consciously harness and use the natural connection we have to other dimensions for our own personal growth and journey through eternity. Discover how to remember dreams, become lucid in them, understand their symbolic language, astral project using different techniques, and use astral travel to seek out incredible knowledge about existence beyond the five senses just as mystics have throughout time. A BIG THANK YOU to everyone who has made this book possible – to the team at Mystical Life Publications for another beautiful book cover, to the editor, formatters, and admin for all the important bits and pieces that make up this book. Thank you also to everyone who has been supporting us through donations, which have allowed Mark to dedicate himself to revising and writing much of this book over the last few months. Wishing everyone much learning, insight, guidance, and experience from exploring the wonders of this incredible multi-dimensional universe through astral travel! I am very much in need of the material in this book. Is there a way to download it? I know that you are having trouble with plagarism, but this work needs to be shared with the world, and people like me really need assistance in navigating the unseen world of dreams. We are at a loss as to how we should deal with the supernatural events that are taking place in our sleep. Your gift is so necessary and needed right now. Can you give us a concrete day when this book will be released? Or is it possible to receive the book via email? Again, the world needs this material. It is more important than ever for the planet in this time of change. The darkness is succeeding in keeping the light smudged out if these acts of plagarism cause us to keep this knowledge secret. I’m very sorry about my delayed reply. I have been just so busy with the release of a new book I wrote, which has only come out a few days ago. There is no way to receive this book by email, or to download it, and I have no concrete date of when it will be released again. I understand how you feel, and appreciate your very supportive, kind, and understanding comment. It is true – darkness is succeeding in lots and lots of different ways in the world. Many people believe that light will win just because it is good, but I haven’t found this to be the case. Instead, I’ve seen that whether light or darkness triumphs depends upon our actions and choices. Unfortunately, the actions and choices of those who came before you in relation to this book mostly favored darkness, and the consequences of their choices have affected you, and me, and others like us. This is how it goes – future generations suffer the results of the actions of those who have gone before. People not born yet will suffer the catastrophic environmental disasters we today have set in motion, and on it goes. I am personally still dealing with the consequences of being plagiarized. For instance, I just spent around two hours today speaking to a team member at Mystical Life Publications (the publisher of this website), about how to best deal with numerous cases of copyright infringement that are still unresolved, so I am simply unable to take on having to deal with any more. The small team at Mystical Life Publications has spent many months following up around 2,000 cases, and are still going. We are only human and can only go so fast. Following up plagiarism has taken all of us off releasing more books and content, but it has to be done, as we cannot just let ourselves be robbed and do nothing. Yet we can still take something from our defeats. What people who want the light do when they lose a battle to darkness is that they use it to learn. Personally, I’ve learnt a lot from the amount of plagiarism we’ve had to deal with (and are still dealing with right now). Being this plagiarized by people in the “New Age” and “Mind, Body, and Spirit” field has been very eye-opening, and has shown me that there are few if any real values adhered to by people in this field even though they present themselves as “spiritual.” That learning is valuable, because it means that I don’t continue with illusions, and can adjust the way I approach things to better suit reality. By doing this, I actually find new opportunities and do new things that I otherwise wouldn’t have done. I’m now focused on other projects. I produce videos on the YouTube channel https://www.youtube.com/c/SakroSawel. I run the website https://sakrosawel.com/, and have just released a book I’ve worked on over the last 3 months https://sakrosawel.com/new-book-just-released-the-ancient-religion-of-the-sun/. These things are where I am mainly putting my focus at the moment, so I am still very much working for the light and will continue to do so as much as I can. In my experience, those who want the light will have to work very hard so it can manifest too. Thank you, Lara, for explaining and your insights on this matter. It’s really sad but true where this issue with plagiarism led to and I support fully your decisions. Recently I came across a group from the “ufology community” where was suggested/guided to look into their dreams and practice meditation in order to receive messages from ET life and change their lives. And I was thinking how these people will do this…? I feel grateful from what I learnt from Belsebuub’s courses and work and I wish more people will benefit from it, but as you said there are new ways coming forward and now I wish/hope people see them and make use of them but also support them in order to take them a step further. What you say is true – it is one thing to advise people to take certain steps but if you don’t give the know how on how to do that how can they ever achieve it? Belsebuub has made many sacrifices in order to each the world the way forward to reach enlightenment – but some many spread misinformation and lies and – for profit! I agree, there are new ways that are being shown to us and we must take advantage of this new movement forward and support it as much as we can, so others can obtain the benefits too. Thank you Lara for your response. You have made very pertinent comments on the state of the world and how those of us that want it must continue to fight for the Light. Thank you, this is a timely reminder of the responsibility we all have in helping to move this along. We are fortunate to have access to this information and the knowledge that has been provided by Belsebuub and you. I fear we would be very lost without it. Thank you and to the MLP team for all the hard work and dedication in trying to resolve the plagiarism issue – difficult but as you say so necessary. Thanks for your response Lara, it make a lot of sense. Your hard work is always very much appreciated. 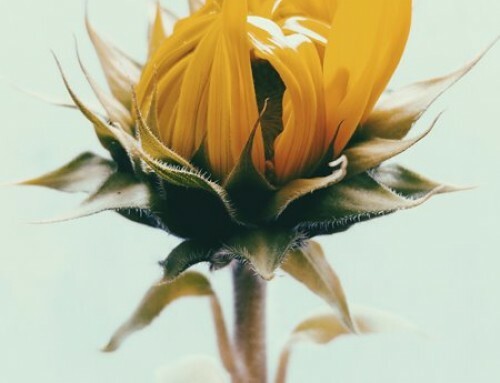 Thank you Lara for sharing your interesting perspective why the darkness is succeeding in nowadays and from what it depends on the light or darkness triumphs. It is a sad situation, but it is also a true thing and it shows how big responsibility we have. It is a big responsibility, and it increases the more we know. Thank you for your lengthy and thoughtful response. I think that seeing the darkness is the best and most important thing that we can do right now, and really it is the real “work”. Information wants to be free. I hope that you will be able to set it free soon. Thank you Vanessa. I agree, facing the darkness is the real work. That’s where as many people are needed as possible. I hope it can be set free soon too; I can assure you and everyone here, I am working as much at this – within my limits of knowing how to – as I can. It’s a very helpful perspective Lara – how the destructive behavior of some has closed doors to many others. I can see what you mean, and the many ways that such actions influence me and others. There is an obvious responsibility on people within society to go against those with destructive behavior, simply because everyone has to bear the consequences. As I am particularly interested in having the freedom to practice the Religion of the Sun, I think it is very important that the standards of people in it are as high as possible – so that this freedom is given and not taken away. I have not read the book but it looks interesting. I read the article on lucid dreaming and it brought back memories of a dream I had when I was about 10 years old. I was quite surprised to see that my experience fit the description very well! The dream started off as a bit of a nightmare in which some woman was claiming to be my mother but she actually didn’t look or act like my real mother. I panicked and ran all over the place trying to look for my real mother without success. It started to feel like this was only a bad dream – which it was – and I tried to wake up. Then I got up out of bed and went into the living room where I usually put on my school uniform. It seemed like the usual routine for a school morning. I can’t remember all the details but a sequence of normal events happened until by some fluke or otherwise I found that I could jump and bounce quite high, then I found that I stayed up in the air by paddling my arms and legs – like swimming. And then I started really flying. I flew all the way to school and back again. Other stuff happened that I can’t remember. I wondered while doing this why flying seemed impossible earlier. I didn’t ask myself if this was also a dream – as far as I knew this was all real because I had woken up from a dream! The information in this book changed my life too. I first came across Belsebuub’s astral projection information when it was given as downloadable pdfs through an online course. I had long felt there was much more to life and my existence than what is physically seen, but I didn’t want a belief system about life — I wanted to find out and learn the truth. I was praying for help and answers but could not see any practical way forward. There are many beliefs and theories expounded out there, but not much about how a person can find out what the truth is for themselves. Then I found the website which back then was promoting the information in this book. Finally I had a concrete way to explore and find answers. This book is very empowering. Belsebuub explains how to venture beyond the body and explore the astral plane and learn about life. You do not need a belief system to do this — it is something you actually do, rather than believe. What you do need is an open mind, perseverance and a willingness to recognize the limitations of what you already think you know, so that you strive to go beyond it. Just having an out of body experience is a revelation in itself — confirmation that you exist without your body, and are more than your body. But you can find so much more, such as discovering that there are spiritual beings who want to guide you and help you to increase your level of consciousness. And you can discover that there is an overall spiritual purpose to life and receive guidance about what you need to do. Belsebuub’s information about astral projection was the starting point for my exploration into the spiritual purpose of life. The out-of-body experiences I gained led me to take an interest in the other things Belsbeuub was writing about, such as self observation and inner change, becasue I realised it wasn’t something made up. For example, when I practiced techniques to increase my level of consciousness during the day, I could see the improvements and effects in my clarity and experiences in the astral plane at night. This book is a real treasure for anyone searching for the truth about life. Thank you Belsbeuub for providing this latest updated edition as an eBook. I hope many more people benefit from it. Well put into words Matthew and I agree this ebooks is a real treasure for anyone who wants to start their search for truth. Reading one of the first editions of Belsebuub’s book on astral travel many years back, I too managed to have my own out-of-body experiences and verify they are something real. It’s something anyone can do. The information on the subject is clearly given without to much overhead information but enough to guide and inspire in doing the practices. I’m sure this ebook will again be an improvement in helping explorers to be even more successful. From a quick glance through the ebook I see more information has been added to show the bigger picture and how astral experiences can assist in ones own spiritual journey. I’m looking forward to read the whole book and revise my own efforts and practices. A big thank you belsebuub and everyone who helped to make this ebook available. I just wanted to say that this revised version has been a wonderful read so far — I really appreciate the thought that went into all the changes, and into making it available in ebook format, and it really helped me to re-invigorate my astral explorations. Many thanks! I’ve been feeling the same Jenny, all the new changes have really inspired me to step up my astral practices again, and to look into some areas it seems I’ve always neglected in relation to astral travel. I look forward to exploring the book. I have been interested in astral projection for a few years now and have had many experiences from the practices on this website. I hope to find new inspiration here and many new experiences that can reach the heart. What a great re-release of a book that has been so helpful and impactful in my life. I’m certain there are many experiences I would never have had without the information in this box. Thanks so much for everyone who contributed. I hope it helps many people explore the astral plane! hi, great job…. i downloaded the ebook Astral Codex, but its currupted, can u please send me yours through my email…. i will be very gratefull.. thanks. The Astral Codex e-book that is downloadable on the website now still works for me. I use the program ‘Adobe Digital Editions’ on my PC together with the ‘EPUB’ edition of the e-book. Hi Halisbra, if you have a problem with the eBooks or other aspect of the site I recommend using the “contact us” page. That way you will be sure to get help with the issue. Fantastic, thanks. So great to see another free ebook available. inspired by reading the other recently released ebook. I’m really look forward to reading this one too and putting it into practice. Okey sorry for speaking about things that has not to do with this book, but at least it has to do with gnosis. On my facebook page I have featured a cover picture saying “Become self-aware, become alive”. You can download it and make it your own cover. This will help create a culture of self-awareness and probably get some people introduced to a key practice of gnosis. If you become friends with me there are many more colors to choose from (I think only my fb-friends can se my fb-feed) and you can even post replies to this comment and wish for other colors and then I’ll upload a new cover with those colors, it only takes me about one minute to make a new cover. I got this idea when I first started practicing being self-aware, it felt as if though I got a lot of energy and became more alive. If rats learn a trick, it will be easier for other rats all around the world to learn that same trick. This gives me hope, because once the spiritual entreprenours of humanity have “learnt the trick”, then it will be much easier for the rest of humanity to follow. The new release of the book has been a great read so far. The new material added is really intriguing and inspiring. I’m enjoying and getting a lot from the new experiences you’ve shared Belsebuub. The whole book now has this really great flow to it. Thanks for your hard work and new insights. I too first read this book when it was in it’s PDF form back in 2002 and had my first OBE within about a month of of trying the practices. Like others, my first OBE was really a life changing experience, though short, it showed me that consciousness can exist outside the physical body. The experience gave me a whole new outlook on life which inspired a deeper investigation into consciousness and self knowledge. Thanks to everyone for all the hard work that went into this book, it’s super quality all around! This is really great! I also took the course many years ago, when the pdfs were sent through email. It was ground-breaking at that time, and I got so much out of the course. I have just been going through this new edition, and I am excited to get into the practices and to read the new material. It looks so refined, and I know that it will help so many people to experience something beyond this physical life. Thanks so much for your great efforts to get this out to the public in such an accessible way. How really wonderful. Thank you Belsebuub and everyone who helped in creating this beautiful book. Learning about your techniques years ago gave such an incredible glimpse into a world I never knew existed and gave me a connection to spirituality I never dreamed of. A true shift in my life began when I could explore spirituality through direct contact experiencing the astral plane – so thank you from the bottom of my heart for everything. Can’t wait to get to the new material and practices too! Amazing news! Like Michelle I as well was one if the 67% that had an out of body experience from trying the practices from this book. It was an amazing experience feeling myself float out of my sleeping body. After that I had many more experiences and learnt so much about myself and from my dreams. It’s wonderful that this is now available online for free and can reach and inspire more people to explore this realm to gain spiritual knowledge. Thank you for all the work you do Belsebuub and Lara. Thank you both for making this available. Over the past few days I have been considering creating a program to run through my blog, on astral projection as some people have been asking. I was going to contact Belsebuub to ask permission to use some of his material from his book ‘when I go to sleep’. I first got into astral projection from Belsebuub’s course via a group in Sydney, many years ago now and on week six I consciously projected. Since that time, I have explored other courses out there, such as Bob Monroe’s and Robert Bruce’s, but I think for the beginner, Belsebuub’s course is most suitable. Laron, that is inspiring to hear that you actually projected after doing the course for six weeks! Yes, I think it is definitely suitable for a beginner. And then, for anyone who wants to go deeper with it and to use astral projection for spiritual awakening, I could not imagine a better resource. There is just boundless depth to what he includes, and it is great to have such guidance from someone who actually has 20 years experience using astral projection, dreams, and OBEs for this purpose. It’s amazing experience the astral projection and I think that this book will inspire more everyone that will read it! Thank you Belsebuub and all the contributors!! Beautiful cover! I really like it. I read a few articles already. I had to jump to the extraterrestrial part. Very interesting! I liked that practice where Belsebuub was meditating on the reflection of the stars in a bowl of water. I’d like to try this and see if I can manage to gain some interesting results. Many thanks to Belsebuub but also to everyone working behind the scenes. Awesome! This is hands down one of the most inspiring and effective books on out of body experiences and the power they hold. I hope this spreads far and wide. Thank you for this ebook! Looking at the contents alone this work appears incredible.. Thank you Belsebuub and everybody involved in the production. It’s great to see another wonderful ebook being released, thanks to all involved in making it happen. I have used many of the techniques in this book and can attest to their effectiveness. It is amazing to have astral experiences and well worth striving to gain them through what is taught in this book. The first version of this book completely changed my life. The additions over the years have made it better and better – it’s fantastic to see it released as an eBook now. I hope many more people have a chance to read through it, practise what’s in there, and get the same amazing benefits and experiences that I had and continue to have from applying it. Great news! Thanks so much Belsebuub, Lara, and everyone involved for making this book available to us! Wonderful news! Thank you Belsebuub and all those who had a hand in getting this product ready. I look forward to reading it. Thank you for making this book available. I’ve been going through some topics and sub-titles which I haven’t see in any previous edition. I was wondering about something from chapter 15 under subtitle “A Meditation Technique I Was Taught in the Astral Plane”. Belsebuub mentions his experience in relation to meditation technique involving the stars. At the end of this subtitle he says: “There is a description of an exercise of astral projection by the Essenes describing how they used to concentrate on the stars and project into the celestial realms.” Is this exercise described in this new book? I cannot find it if it’s there. Would be interesting to learn more about it. I had such a joyous feeling when I saw this book available here! The cover and title are super inspiring, and the intro you gave to the book has itching to dive in. Awesome. I’ve been waiting for this. Just kidding, I know it was a lot of work over a period of time, thank you all so much. What I’ve read so far has been soooo relatable and down to earth, especially taking into account important questions of the validity of experiences, and the step-by-step approach needed. I’m still at the beginning of the book, I just wanted to share that little bit. This is truly exciting. Thank you so much to Belsebuub and everyone who has helped to get this released! I can’t wait to read it! I am one of the 67% who had success with Belsebuub’s courses. Prior to using the techniques I had never had any lucid dreams or out of body experiences. I had experienced flying in dreams, sleep paralysis and a falling sensation when waking up but I didn’t know what they were before taking the courses. The information changed my life in so many ways, especially being able to get guidance in the Astral Plane and through dreams that I had never realized was possible! I am thrilled to use this book to re-energize my astral practices and discover all the new information. I am also excited to have this resource to show to some of my family and friends. I am very grateful, both for the book and for the work that made it available. I have only read a part of the book thus far, but what I’ve read really raised my enthusiasm for astral projection to a new level. Your comments on the importance of being aware and the dangers of doing it intellectually resonated strongly with me and the description of your astral experience in Egypt was an amazing thing to reflect on as well. But thanks for this great release to Belsebuub. And thanks to everyone who has helped to make this information freely available again, and in such a great way! I hope it reaches many people around the world and enable them to experience the Astral dimension, to change their whole experience of life. All the other resources available are a great addition too and will surely inspire people on this magical subject. Glad to see these new books! I feel grateful…it is just incredible how much could be learned beyond the physical. When I’ve learned how to astral travel from an old version of a similar Belsebuub’s book and the course based on it, it really helped me to enrich my life with a greater insights. It also helped me to understand better my previous astral experiences and to get rid of much fear. That being said, I still feel myself like quite a beginner in this subject, so I really look forward reading this book and hopefully put it well into practice. Karim, I did the same and couldn’t resist my temptation 🙂 but made a super-effort to start reading the book from the beginning. Me too Vadim, I’m looking forward to going through the whole book fresh again too. I did sneak a look at some of the new content though.. It’s pretty awesome! That is some introduction! I got excited just reading this portion of it – I can’t wait to see the rest. I have been fortunate to read the earlier version of the Astral book and found the information to be profoundly truthful and insightful – that particular book and the course changed my life and reactivated a life-long search and struggle to find spiritual truth and knowledge. Thanks again for all the hard work and efforts poured into this book. Its almost like a dream seeing it available online for free to download. No doubt one of the most powerful reads around, it has the incredible and real potential to change people’s lives – and for the better! It just takes that one experience and all of a sudden the possibilities of life open up on a huge scale. Its been a great help to have had the OBE’s I’ve gained over the years from these techniques, in fact its those experiences that have kept me pushing ahead for my own self knowledge because I know its real. Kudos to Belsebuub and Lara, its such an awesome release! I felt the same way seeing it, particularly with the incredible cover and compelling new title. I can’t wait to study and see what’s new in this edition, it looks completely redone. Layla, I feel the same regarding OBEs giving a great help over the years. It is something that gives so much strength and motivation. Awesome news, can’t wait to read it! I’d tried to astral project for ages with no luck before coming across the way Belsebuub teaches astral projection, and after I did it wasn’t too long until I had my first conscious experience. So anyone who’s thinking about reading the book and trying it out, I’d highly recommend it! Love the cover and the title too! 🙂 Thankyou Belsebuub and everyone who helped it come together! I discovered this website just a few weeks ago and everything resonates very well with me and inspires me very much. But do we have any internet forum? I’ve been looking for one but can’t find any. Hi Calle, good question. Right now there aren’t any forums. Things on this site change all the time, so who knows? There’s lots to read and be involved with with these discussions and periodic calls to action (like the petition), and I’m sure more is coming. Looks awesome! Can’t wait to read through it. I remember the excitement I had reading the first astral book years ago, and enthusiasm doing all the practices and learning new things. That enthusiasm led to many amazing astral experiences. Hopefully I can garner some fresh inspiration now and dig deeper into astral explorations! Yeah, I hope to do the same.